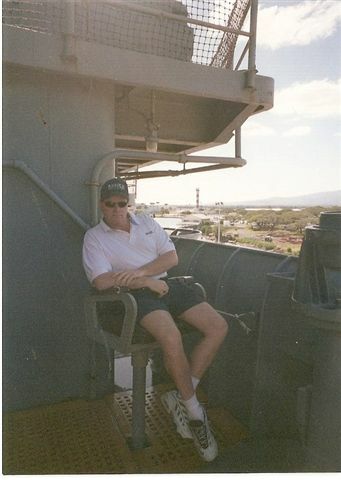 Sitting on the deck of the USS Missouri docked in Pearl Harbor, HI in March 2002. I was on tour performing at three colleges in Hawaii. This was also the trip where I met Britney Spears on the beach along with her sister, best friend, and two huge Hawaiian bodyguards!